There’s nothing quite like the sound of a live band to get your feet moving. We can liven up your PARTY, WEDDING, FESTIVAL, FETE OR FAIR with the old Sinatra style swing favourites, jazz numbers, or some party music to dance around to. The Rutland Big Band rejoice in being the Big Band from the smallest county. The band dates back to 2005 when a handful of Rutland musicians got together to play a few tunes. Today the Band features accomplished musicians from all walks of life including music teachers, professionals and experienced brass instrumentalists and is in constant demand to perform across the Midlands. More frequently than they care to admit you will find band members at Oakham’s Grainstore where the Christmas party featuring the Band is a highlight of the festive calendar. We have performed at the Uppingham Fringe arts festival, the Oakham Festival, weddings, birthday parties, 1940s dance events, and in the Curve theatre in Leicester. So if you are looking to hire a wedding band or a party band, please get in touch, and we will give your guests a good time. We’ll happily travel around Oakham, Leicestershire, Uppingham, Stamford, Melton Mowbray, Corby and other places around the East Midlands.Naturally there’s 1940s swing era music such as Glen Miller but also a glorious mix of music by Stevie Wonder, Van Morrison, Duke Ellington and of course tracks made famous by the Rat Pack. It don’t mean a thing if it ain’t got that swing so enjoy the rhythms, clap your hands, tap those feet , and if the mood takes you and the health and safety officer is looking the other way, grab your partner, swing them round and dance into the night. ‘Thanks a lot for your session last Monday at the Catmose Club. […] the band played bloody well, too. Thanks you all for a really great night! We will be playing on the first Monday of each month at the Catmose Club in Oakham – please come along! Check before setting off – we may have to miss dates due to bank holidays and so on. Note we’ve switched from (roughly) the third to the first week, to make it more memorable. You can hear more on the audio page. ‘Friday was brilliant and I have never in all the time I have been doing this job had such great feedback about a band. You were all brilliant! 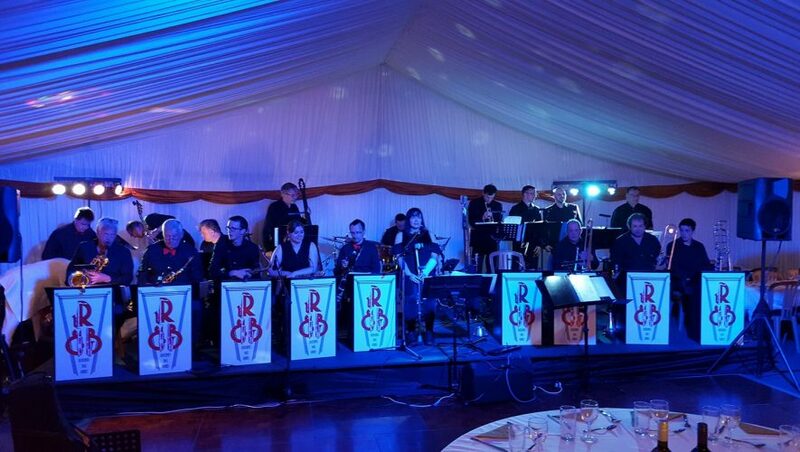 We’re based in Oakham, and are available to play big band swing and jazz around Leicestershire, Nottinghamshire, Northamptonshire and the East midlands in general. Over the years our repertoire has grown, so we can adjust our setlist to suit your event. We love to make music, so please ask about booking us, or suggesting somewhere we could do a gig. And if you just like listening, join our mailing list!